H.L. 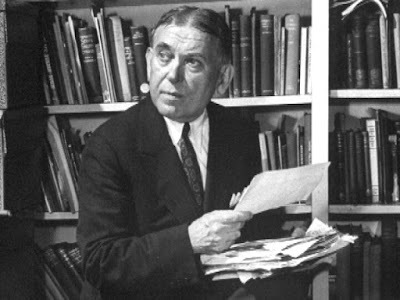 Mencken, who died on Jan. 29, was the outstanding American literary critic of his generation, its most influential stylist, its most prominent iconoclast, the chief scourge of the genteel tradition, and a great liberating force. Those who hold this view have never understood either the real nature of the New Deal, or the real philosophy of Mencken. That philosophy never changed. Mencken was first and foremost a libertarian. That explains his unceasing warfare against censorship and prohibition, and most of his assaults on “democracy” — insofar as that word was used to imply the right of a majority to suppress or persecute a nonconformist minority. In his political and economic opinions Mencken was from the beginning, to repeat, neither “radical” nor “conservative,” but libertarian. He championed the freedom and dignity of the individual. Therefore he always considered Socialism preposterous. He had never known a Socialist, he was fond of saying, who wasn’t crazy on other subjects as well. One of his very earliest books, Men vs. the Man, published in 1910, was a debate against a Socialist. His famous blast against “this Prof. Dr. Thorstein B. Veblen, head Great Thinker to the parlor radicals, Socrates of the intellectual Greenwich Village, chief star [at least transiently] of the American Atheneums,” appeared, it is important to recall, in 1919, in the very first series of the Prejudices, and at the beginning of the great Mencken vogue. of the Leisure Class had already been said, in a few brief paragraphs, by Aristotle; and that Veblen’s attacks on “the price system” came from a man who had not the remotest understanding of that system, or of the role it plays in stimulating, directing, allocating, and balancing production. In short, Mencken recognized from the start that Veblen’s ideas were “simply Socialism and water.” He prized human liberty too highly to be carried away by the growing academic mania for collectivism. Like Herbert Spencer, he sensed that “all Socialism involves slavery.” He brought in the minority report.